Certified 77-79 Impala geek here. Have owned many, but recently purchased my nicest one ever, which is my current project. It's a 1978 Impala 2-door that is essentially rust free, which is a rare thing in Ohio. I will post pics and a list of parts I have for sale within the next few days. Just wanted to say hello, look around a bit, figure out how to post pics and get caught up with whats going on in the forum. Welcome home fellow geek! 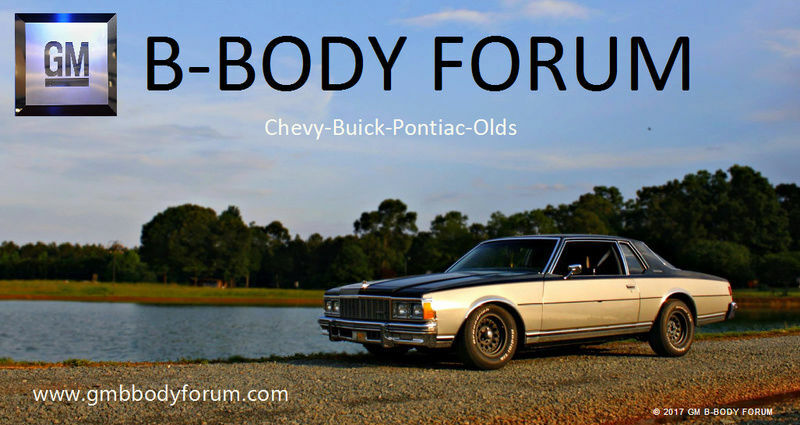 Welcome to the forum, you can learn how to upload pics here: https://www.gmbbodyforum.com/t315-how-to-upload-pics , and we look forward to seeing some soon! Welcome would love to see some pics. Sorry it has taken so long to reply. Been busy lately, as well as exploring the forum. 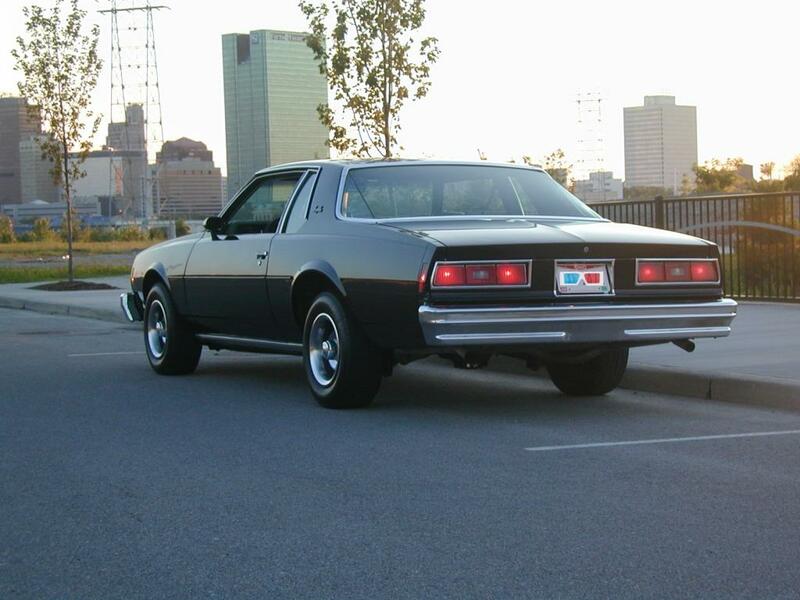 These are pictures of my 78 as I purchased it with exception to the 1977 Tail-lights that I installed. Since these photos were taken, I have removed and dyed the interior from green to black (still re-installing) as well as changing the front grilles to the 1977 model grilles. I have removed the Chevy emblem on the header panel. I have removed the A/C system, stripped and removed excess caulk from the interior body panels, coated the entire floor with POR-15, painted all interior sheet metal gloss black. Many more updates as well, will post soon with more info and pics. What a beautiful car, it looks very well cared for and I appreciate you taking the time and sharing the pics! I do see where you stated you've switched the grill and tail lights to a 77. Any chance you might want to part ways with the 78 Impala grill? Keep up the great work and please keep sharing! Maintaining the classic look with an updated feel. That's a fine looking Impala. 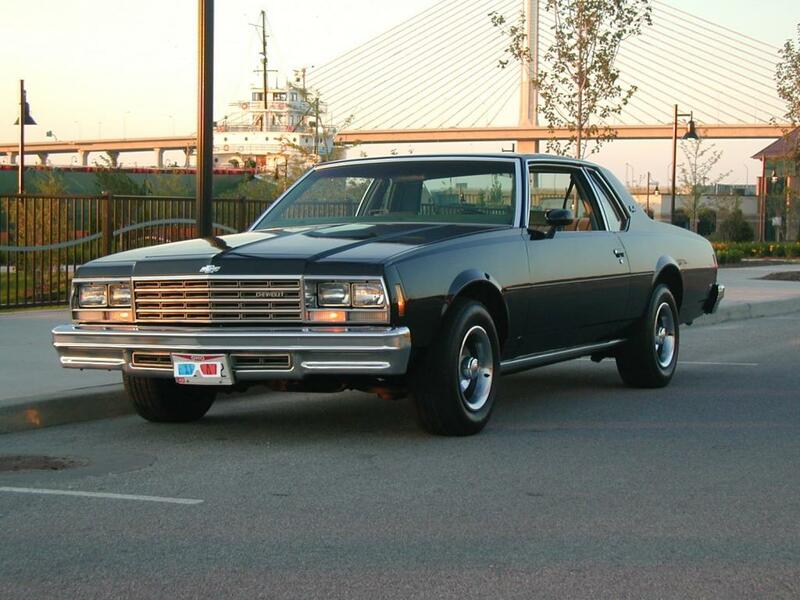 I wish my body on my 79 was that nice. Hi fellow 77-79 B fans. I sure am glad I found this group. 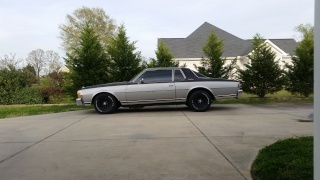 I have been on a 3 year project f putting a 1996 Corvtte LT4 and 4l60E into a 78 coupe. It was a substantial job, and the wiring for the EFI was much of the chore. Hoverer the results are great and it really is a nice ruining and drivable machine. Not to mention the improved fuel economy, which is nice considering I now have about 330 HP, instead of the anemic 140 with the original power plant. I have another 78 coupe that leaks rain water into the passenger side foot well, and reading up here I now know exactly what I have Yo do to fix the leak. Great information! Thanks. I will be selling the grilles (all 3) and tail light lenses from the 78. I modified the rear tail-light housings to accept the 77 lenses, that is why I am selling the rear lenses only. I am also likely going to sell the front and rear seats, since I am installing bucket seats and customizing the rear seat area making it a true two seater coupe. I promise you, I will contact you as soon as ready to sell... which will be very soon. terry cronk said: That's a fine looking Impala. Thanks Terry. I am 43 years old, and have been wanting and looking for one this clean since I was 16..... I feel like I hit the lotto. I am installing a 406 Chevy that should put out about 550 horse at the flywheel, a TH350 built to the hilt with a 28-3200 stall converter and 4.56 posi rear. My 1979 you see in my left hand post panel was nicknamed the "5-Liter Eater", and I used to race Mustangs for their "5.0" emblems and place them like kill marks on my drivers door.... like a WWII fighter plane. Nothing angers a Mustang owner like being beat by a full size "family car". Osborn F. Enready wrote: My 1979 you see in my left hand post panel was nicknamed the "5-Liter Eater", and I used to race Mustangs for their "5.0" emblems and place them like kill marks on my drivers door.... like a WWII fighter plane. I love it! Can't wait to see what you have in store for this beauty. I'll be ready when you are to possibly help you alleviate some of your burden with those spare parts. Hello Everybody! I'm Viktor from Hungary, Europe. LQ4 6.0 (LS1 inteke, injectors, throttle body) and 4L60E trans. Lowered suspension (Eibach springs, Delco deCarbon shocks) polyurethan bushings everywhere, 94-96 Impala SS 8.5 rearend, and 4 wheel disc brakes. welcome aboard and beautiful car!